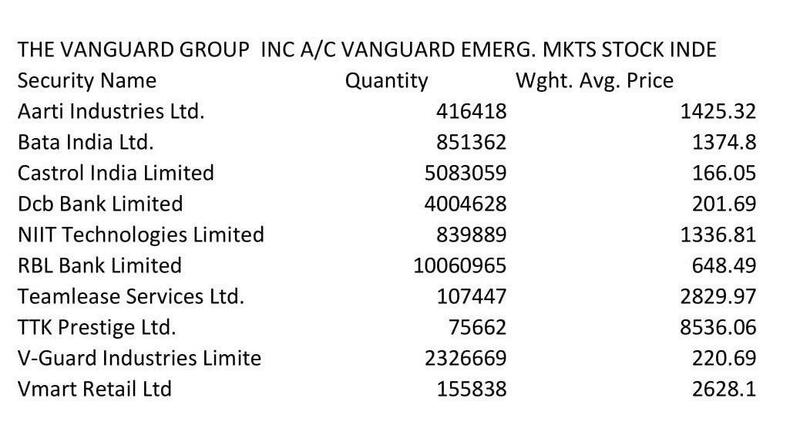 Yesterday FII's bought ₹4300 Cr, this is the highest market purchase in 2019, out of it, Vanguard Group inc a/c alone bought ₹ 1294 Cr. Vanguard Group is the largest provider of mutual funds with over $5.3 trillion in AUM. It is a question that whether you should mirror them is worth debating as your risk profile and their risk profile may not be matching. Do remember to get your daily dose of free stock market tips by filling your email in subscription box provided to get quality content at no cost.